Long queue in front of a supermarket of Caracas - Photo by Girish Gupta, photos.girish-gupta.com. It took us 5 years to finally set a foot in Venezuela. Last Friday, we organised a meetup at Impact Hub, founded in 2013 by Claudia Valladares among others, who is the current director. Together with her team, they have been an incredible support, and shared our work values at Seedstars such as an impressive #getshitdone attitude. This event was for us an unexpected opportunity to gather the different key players of the Caracas ecosystem and to get a chance to learn more about their reality. Venezuela is currently undergoing a major economic crisis. Hyperinflation, food shortages, power outages and violent repression are part of the day to day reality for the Venezuelan population. The year-on-year inflation rate of the country in January 2018 was estimated to be 8,900 percent, in comparison with 2.86 percent in Brazil, 3.14 percent in Colombia and Switzerland 0.7 percent. Concretely, prices are skyrocketing and change on a day to day basis. Every bolivar, the local currency, earned has to be spent fast as its value decreases at an unprecedented rate. Access to cash is very complicated - not to say impossible. Behind the financial crisis is appearing a humanitarian one. People not only make the queue to pay, they make the queue to eat. A study by Encovi estimated that over 75% of the population has lost 8 kilos in 2017, victims of the sadly-called “Venezuelan Diet”. The population suffers shortages of the most basic goods: water, food and medicine. SMEs just like big corporates had to stop production due to lack of raw material. For instance Coca-Cola halted production for a time in 2017 because of sugar shortage. The system is collapsing which makes it hard to run a business. The country ranks 188 out of 190, in the Ease of Doing Business report. As a direct consequence, people are leaving and with them, the talent flows away. The Venezuelan diaspora has grown over the past 15 years and it is estimated that near 4 million people should have left the country, one million since 2015 according to the UN. We have met numerous of Venezuelan entrepreneurs in Latin America, most of them left in Colombia - the direct neighbor. Chile is another destination of migration thanks to the program of Startup Chile that provides the selected entrepreneurs a USD 40K equity free money and an entrepreneur visa. What we tend to forget is that in scarcity there is opportunity. I was totally impressed by the Venezuelan entrepreneurs and influencers (such as Daniel Knobelsdorf - a self-defined Chief of Opportunities Officer) and their aptitude to hack the system often by leveraging technology. Whatsapp and other similar apps have allowed to build online communication groups working as kind of a social mercadolibre where people can exchange goods and ask for support. Digital payment is exploding in Venezuela as cash is hard to find. From food to taxis passing by parking services, numerous apps are used to simplify or even allow transaction. iPago and Vippo are examples of 2 successful payment apps in the country. 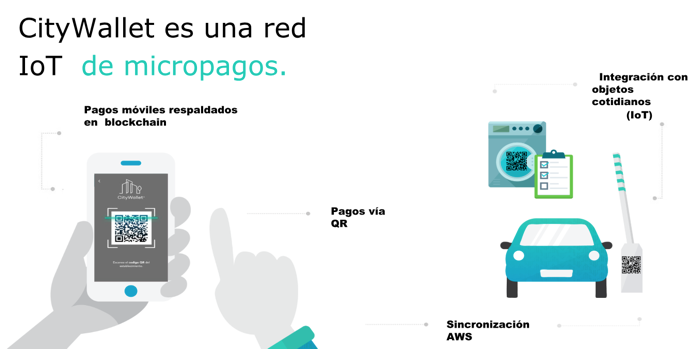 Last year, the Bank BBVA Provincial launched its own app Dinero Rapido that already count with over 300K download (more info here). The Canadian based startup Nekso was also launched in Venezuela. This smartphone platform allows taxi lines, registered drivers, and passengers to communicate in order to complete rides in a safe and convenient way and has seen a doubling of its request in the past months. To give another good example, Ramon Ginez, was recently named by MIT as one of the most innovative entrepreneur with the startup CityWallet. Remember the queue we talked about at the beginning? That’s what the startup is tackling with its app. Citywallet is a digital payment app targeting sectors requiring cash as mean of payment such as parking, laundry, kiosk, gas station, and more. The concept is brilliant. Thanks to a simple sticker that incorporates NFC technology, users are able to pay in real time. The sticker is linked through their app - a digital wallet - that can be top up with credit card card or with wire transfer. The Blockchain is integrated to verify the transactions (with ripple) and then the money is transferred on the bank account of the merchants. They are currently expanding to Chile, which is facing a similar issue due to a coin shortage, which makes it difficult to pay laundry or bus services for example. The most interesting fact is probably the rise of Blockchain based technology, especially cryptocurrency. The hyperinflation and high volatility of the Bolivares actually make of Venezuela the perfect laboratory for cryptocurrencies. Venezuela is in such a situation that the Bitcoin or Ether are more stable that its own nacional currency. As the values of Bolivars plunged, Bitcoin is burgeoning. In January, Venezuela’s government, launched the world’s first government-backed cryptocurrency, the Petro. It was the administration’s latest attempt to solve its longstanding economic crisis. While on paper the initiative bred hope, nevertheless, the results were not the one expected for various reasons (if interested, a good summary can be found here). Government is not the only one that has seen the opportunity. Numerous startups have been in the game since longer. Crypto for Remittances is especially a huge opportunity with the massive diaspora and considering that 29% of Venezuelan people have family living abroad. 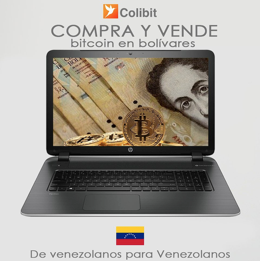 Colibit is an exchange platform to buy and sell bitcoin in counterpart of Bolivares. Easy to use, the platform counts with 20% of its customers older than 50 years old, which is pretty fascinating. For Rafael Useche, the founder who lives in San Cristobal at the border with Colombia, Venezuela could become on of the first “crypto-economy” in the world as its citizens approach it with an early adopter mindset considering the urgent need for payment solution. The entrepreneurship ecosystem of Caracas is made up of only a few players, the main actors being Impact Hub Caracas (coworking and social entrepreneurs community), ECOEM (a startup incubator & company builder that have supported venture such as the online media platform EfectoCocuyo or the online music platform to book local talent Arepamusic) and finally Wayra, the well known accelerator of Telefonica, which has invested in 44 startups from which 24 are still alive. ● 8 of them are active in markets out of Venezuela and the team is working abroad as well. ● 7 of them have the founders living abroad and with activity in foreign markets while at the same time selling in Venezuela. This is for instance the case of Socialgest, a platform to manage social media (similar to buffer), which is an official supplier of Telefonica and have clients in different countries. If the CEO is working from abroad with 3 others team members, they have 30 people working in Caracas! ● Finally, 9 of them are working and selling in Venezuela. After meeting numerous of Venezuelan entrepreneurs or developers around Latam that left for better opportunities and life conditions, it is fair to ask why some of them stay in Venezuela. In a society like Venezuela, people will not buy your product with compulsive behavior. It is vital for the entrepreneurs to understand their customer’s need and behavior if they want to survive. This made of the country a perfect market test that pushes you to observe, understand and iterate fast. Once you got it, any other market becomes accessible. It is a very cheap place to develop technology-based product and services. The average salary of a developer is around 10-15 dollars a month. An amount that sounds very low but considering the cost of life, is reasonable to live with. Some healthy startups manage to pay over 100 dollars a month, which made of Venezuela probably one of the only countries where it’s more interesting to work for a startup than a SMEs or even corporation, knowing that the minimum wage is near one dollar those days. For local entrepreneurs, the difficulty is then to retain talent as many of them are attracted by better opportunities to work for a foreign startup or as a remote freelance in the US and get paid in USD. Venezuela remains an interesting market with more than 31 million inhabitants (the equivalent of Peru). According to Liesl, if you invest in a Venezuelan's startup it is not for the montlhy revenue but to get a critic mass of users. In less than 9 months, Colibit and Citywallet have managed to get over +7K active users without any marketing effort. The fact that most of talent and investors are leaving have maybe a positive side. The high network is closer and easier to reach. As soon as you gain credentials and tractions, you will fast be able to sit down with some hedge fund, CEO of top corporates or authorities. Last but not least, the entrepreneurs (as well as the corporates) that stay share a same conviction - the actual situation will have to end one day and at that time the country will get better and grow again, so the companies that were there since longer will have a real competitive advantage. “The greatest companies are born in crisis” - Rafael, Founder of Colibit. One sure thing is that the founders of Venezuelan startup are developing valuable skills. The hyperinflation requests them to manage finances & cash flow with more efficiency than anywhere else. Customer-centric understanding is a mandatory competence if they want to survive in an ecosystem where you are in direct competition with basics needs such as food and healthcare. Finally, if they want to keep their top performers, they will have to develop a strong leadership to compete with the competition from abroad. Today, no one can say when the situation will change and how. But inside this challenging context of Venezuela, there is maybe some opportunities to explore. Investing in Venezuelan ventures is probably as risky and volatile as bitcoin but the ROI may be exponential. Supporting local tech entrepreneurs lead to job creations & the rise of impact solutions such CityWallet, ipago or Colibit. There is a gap to be filled, a country to build, 31 millions citizens waiting for safe and efficient solutions. Entrepreneurs will play a critical role to shape (one day) the new Venezuela.